Hard work pays off. And this proves true for Paul High Horse. Through continuing his art education, he has enriched his knowledge and found an abstract, mixed media style to communicate his Lakota Nation traditions and values. And, this isn’t going unnoticed. Paul, as well as other Native American artists, has been asked to show his pieces at the Photographers and the Plains Indians exhibit at KANEKO February 7 – April 19. The opening reception for Photographers and the Plains Indians is Friday, February 7 from 6 – 9pm. This reception is free and open to the public. Exhibit runs February 7 – April 19. Open hours are Monday – Friday, 9am – 5pm and Saturdays, 1 – 5pm. If your schedule allows, come and support Paul. Hope to see you opening night. KANEKO is a cultural institution, exploring and encouraging the process of creativity. It is located at 1111 Jones St, Omaha, NE 68102. This entry was posted in Uncategorized on January 29, 2014 by Jennifer Gepson. This entry was posted in Uncategorized on January 21, 2014 by Jennifer Gepson. 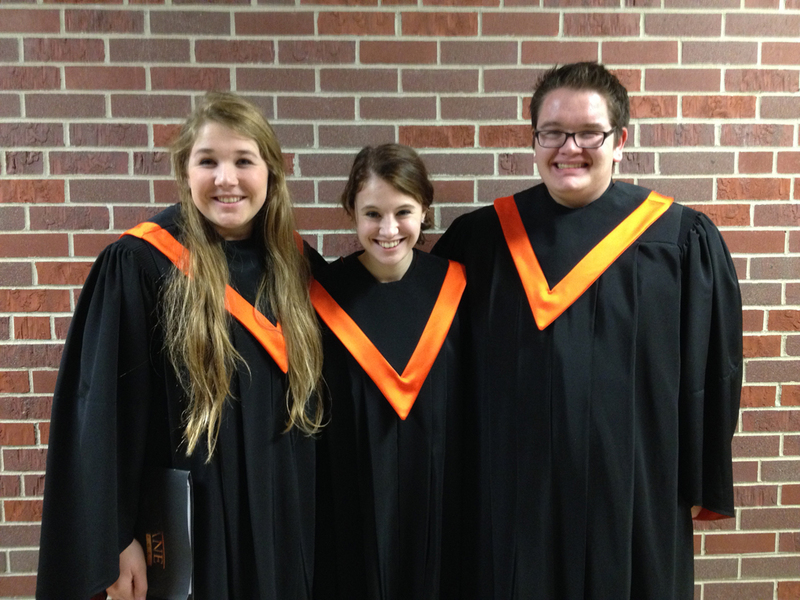 On Monday January 13th at 6:30 pm, Katie Edie, Julie Hofer, and Matt Swoboda performed alongside 150 other students from across the state in the Doane College Honor Choir in Crete Nebraska. 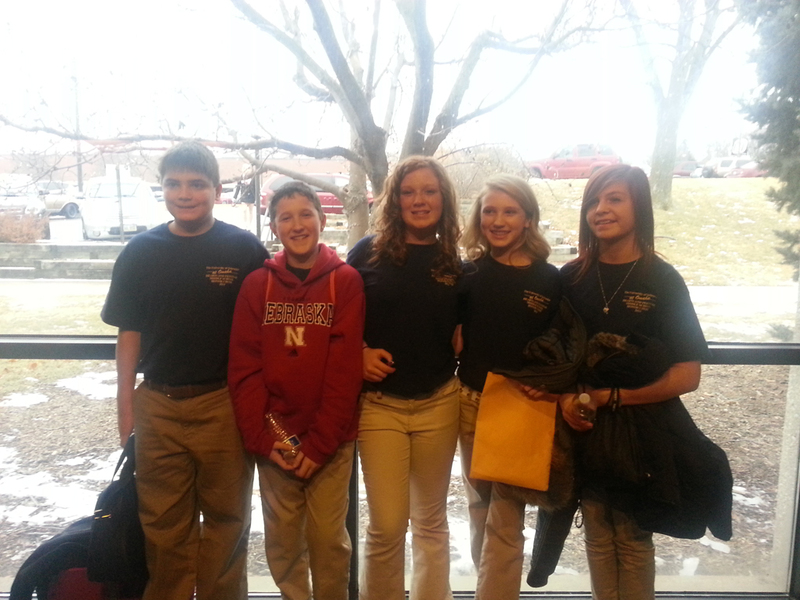 They spent 2 days working and learning from Dr. Kurt Runestad as they prepared for the final concert Monday evening. The performance was wonderful! Congratulations to each one of you!! 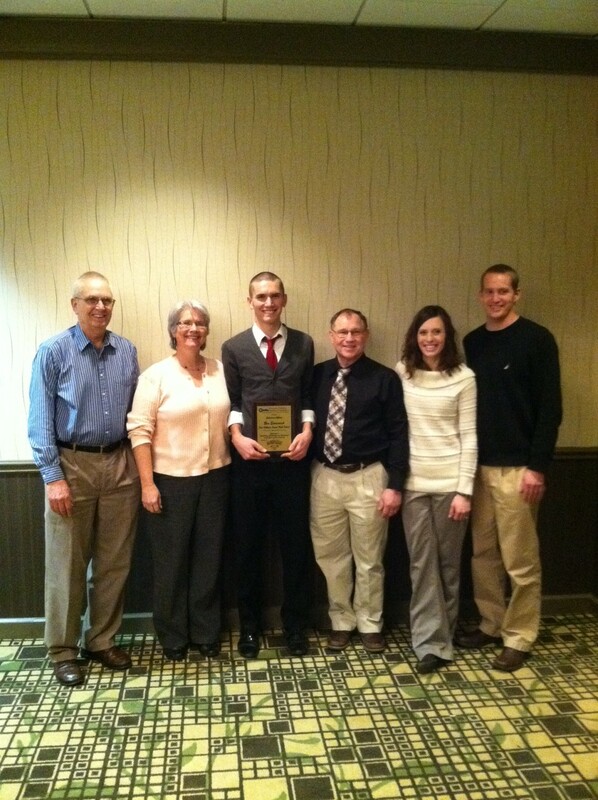 Ben Everswick was one of two students in the Omaha region to receive Top Male Scholar Athlete in the sport of Cross Country for 2013 by the Greater Omaha Sports Committee. He was one of 16 students who received this honor for fall sports. Ben was joined by students from Bellevue East, Bellevue West, Central, Creighton Prep, Duchesne, Marian, Millard North, Millard West, Millard South, Papillion La-Vista, Ralston, and Skutt. The Greater Omaha Sports Committee is the same committee that selects and awards the Outland Trophy for Top Interior Lineman for Division One College Football. One of the special guests who spoke at the awards ceremony was Larry Jacobson, the 1971 Outland Trophy winner who played on the 1971 Nebraska National Championship team. This entry was posted in Uncategorized on January 9, 2014 by Jennifer Gepson. Family Game night was a success. 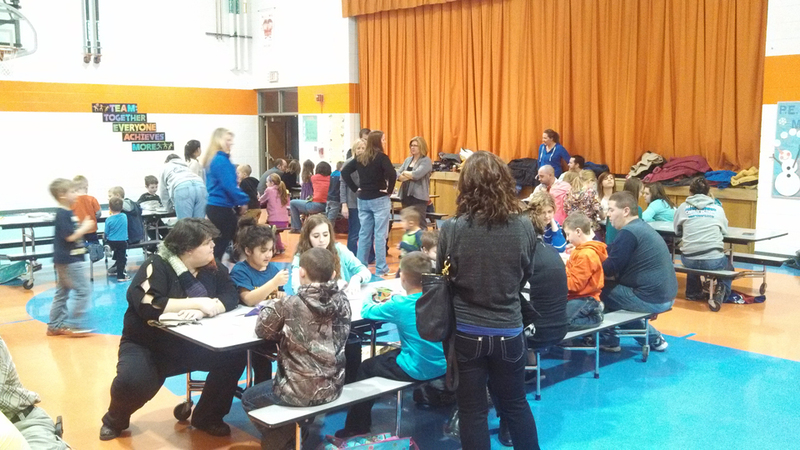 We had a great turn out. 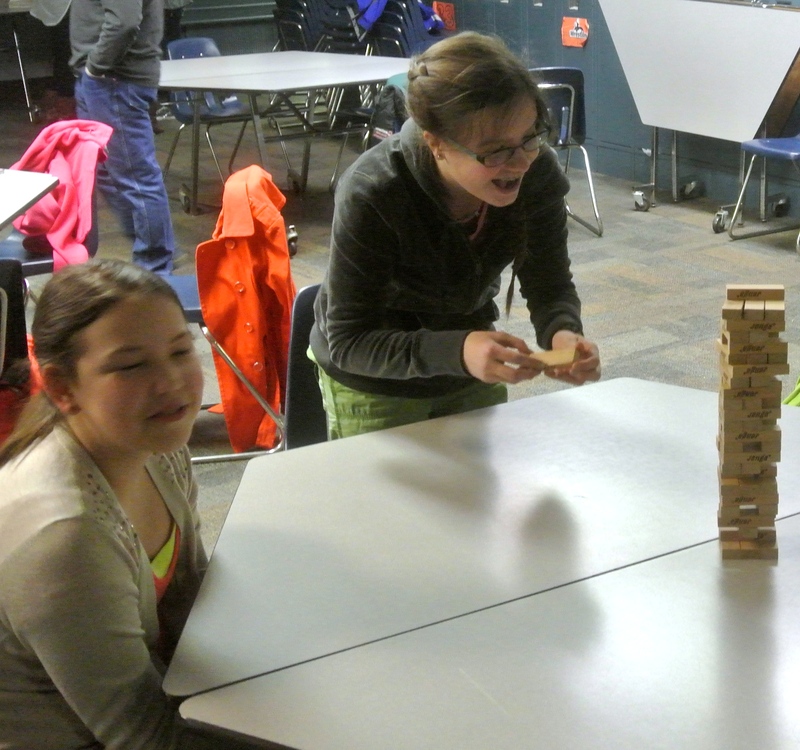 Everyone enjoyed playing the games and spending time as a family. You still have time to purchase games from their website shopcrtoys.com. CRToys is offering free shipping on all orders placed before January 24 just use the code: FC2014. All orders will be shipped to the elementary school and each purchase will contribute money toward providing new games for your school. Thank you to the PFE for hosting this event. This entry was posted in Uncategorized on January 8, 2014 by Jennifer Gepson. Educators and parents alike realize that learning is best achieved through participation in exciting, face-paced educational games both in the classroom and at home. 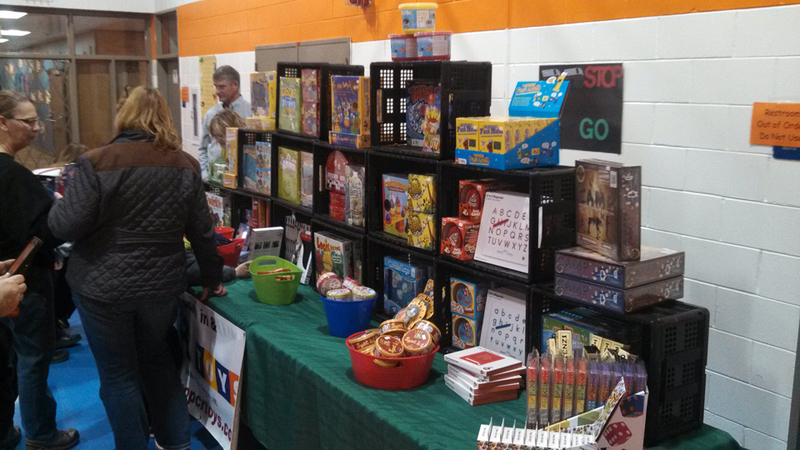 With that in mind, Pioneers For Education, is partnering with CR Toys, a well- known store at the Hilltop Mall in Kearney which specializes in educational games and toys for all levels. This entry was posted in Uncategorized on January 7, 2014 by Jennifer Gepson. Students were given the opportunity to purchase candy canes to give to others from FBLA and Student Council before Christmas. 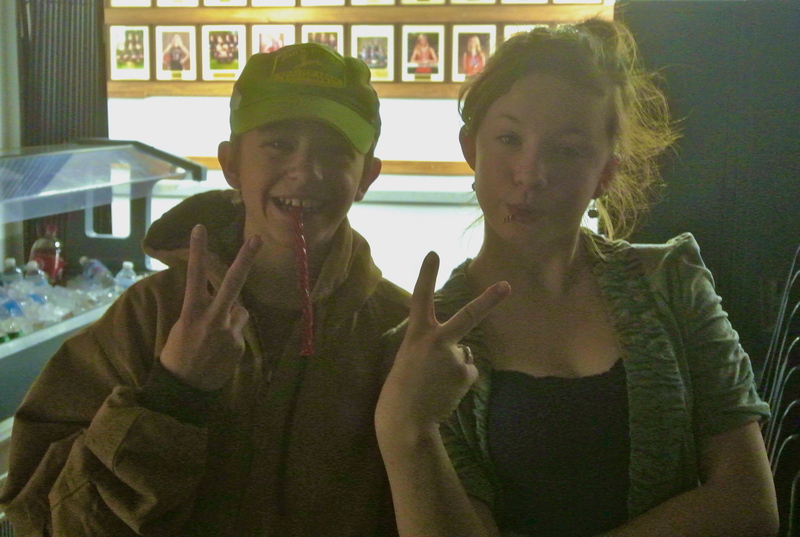 $134 was raised from the candy cane orders and will be donated to the Siena/Francis House Homeless Shelter in Omaha. 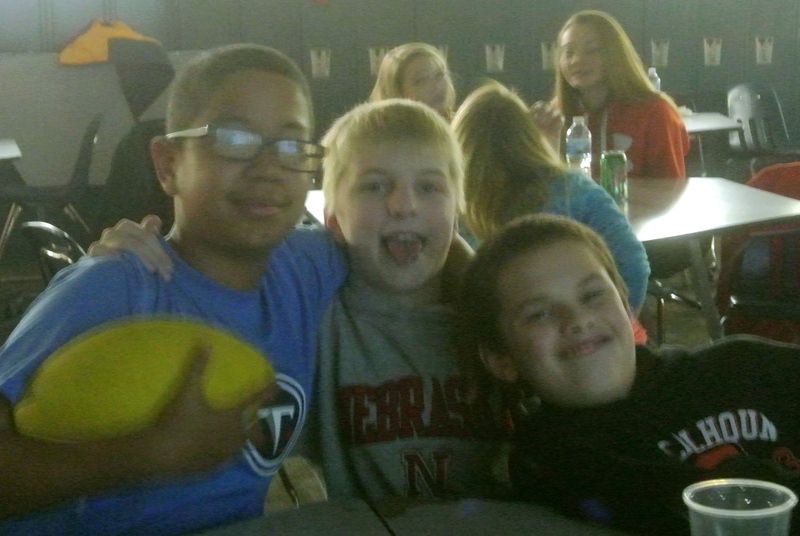 Almost thirty FC junior high students celebrated the Super Bowl in style hanging out at the school last night. The cost of admission was canned goods or a cash donation – over 50 items and $10 will be donated to the St. John the Baptist Catholic Church’s Helping Hands food pantry. 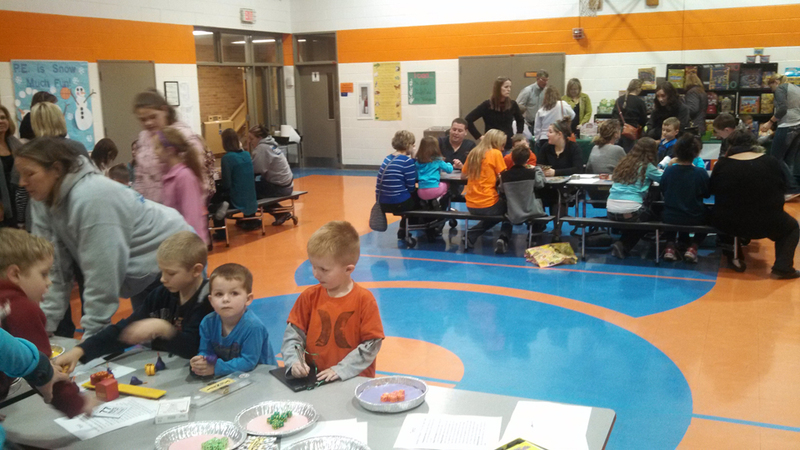 Mrs. Hernandez (POPP sponsor) said it was a fun time and she hopes to do a similar event next fall for a Husker game! She also wanted to thank all of the POSSE parents for their generous food and beverage donations and a special thanks goes out to Jeanne Welchert at the Longhorn for all of the yummy appetizers and chicken strips that she donated! This entry was posted in Uncategorized on January 4, 2014 by Jennifer Gepson.